In the present work we investigate, through DFT calculations, the mechanism of formation of a molecular imprinted polymer for the acetamiprid (ACT) insecticide, using four different functional monomers, four molar ratios attempts, and considering eight distinct solvents. 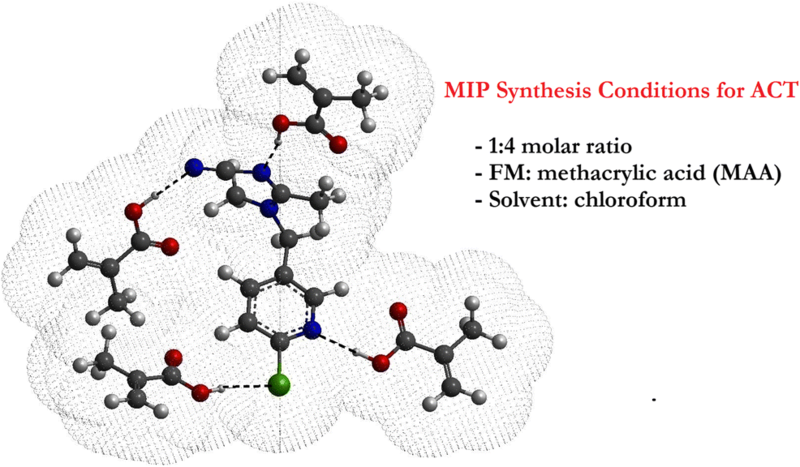 As the main result we obtain the following theoretical protocol for the MIP synthesis: methacrylic acid (MMA) as functional monomer, 1:4 M ratio, i.e., one ACT to four MMAs, and chloroform as solvent. This DFT calculated condition shows more favorable energies for the formed complexes. 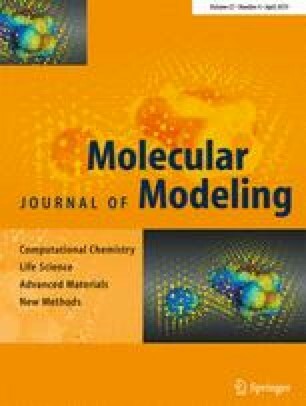 We consider this work quite relevant since it can be used by experimentalists in order to reach an efficient MIP synthesis for ACT, avoiding wasted time and laboratory resources. The online version of this article ( https://doi.org/10.1007/s00894-019-3990-y) contains supplementary material, which is available to authorized users. The authors would like to thank the financial support of Brazilian funding agencies FAPEMIG (Fundação de Amparo à Pesquisa do Estado de Minas Gerais) and CNPq (Conselho Nacional de Desenvolvimento Científico e Tecnológico). This work is also part of the project involving the Rede Mineira de Química (RQ-MG) supported by FAPEMIG.